This piece is available and please take note of the shipping cost and the fact that it will not be shipped outside of the U.S. It is huge! and a special piece. The piece does have a couple flaws to note and I will have to photo them when it is light out. There is a split to the tongue which will not be a tough repair for a restorer and a separation at the rear foot from the base. 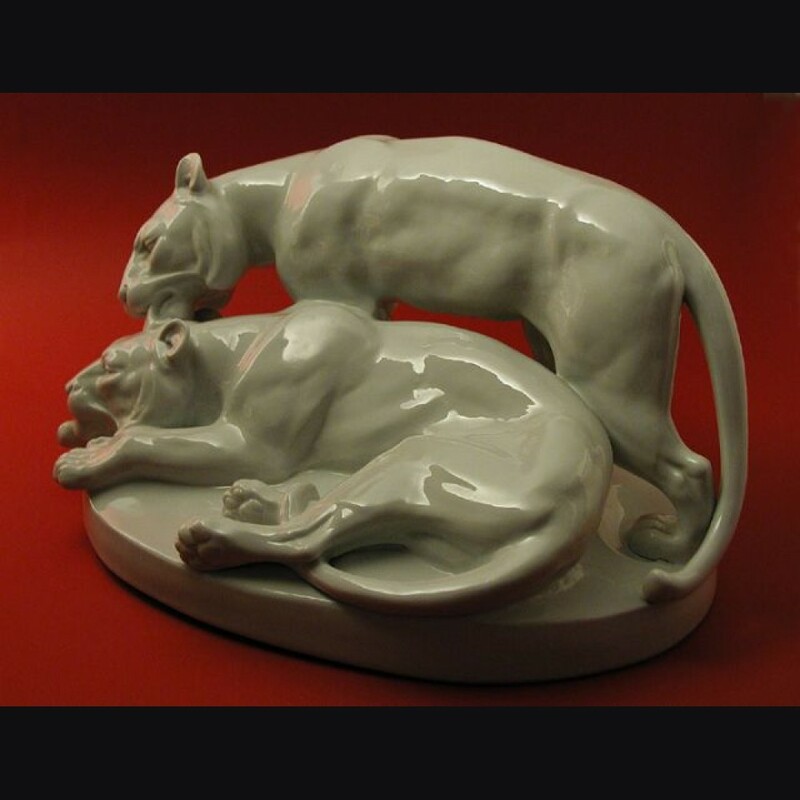 This is no doubt from lifting these cats by the body as opposed to lifting the piece from the base. A very large piece of early porcelain that would make a great addition to a collection. Please contact me with destination if interested to get accurate shipping quote on this. 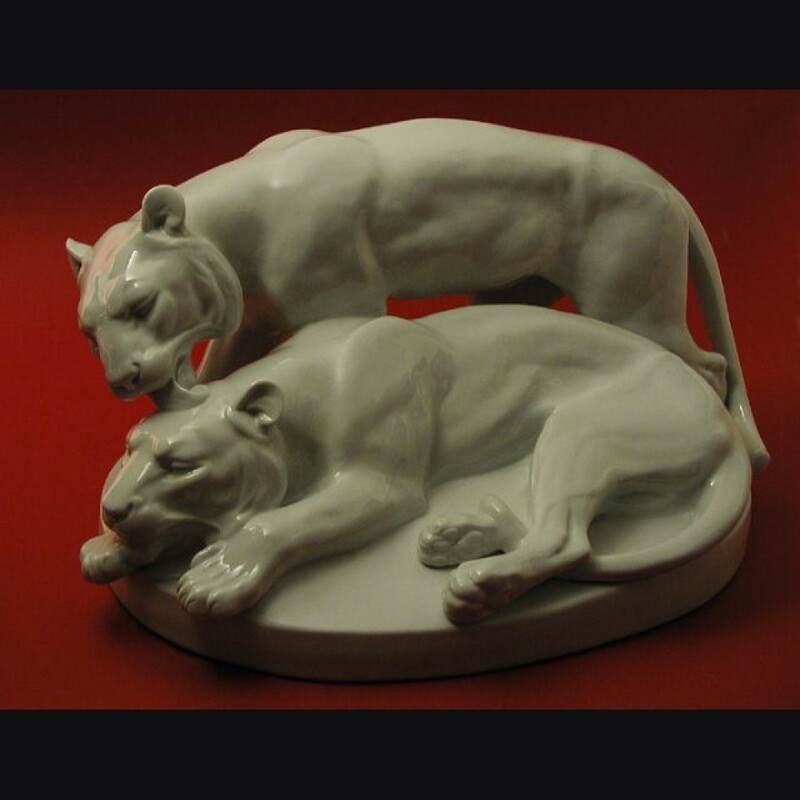 Manufactured in the1930's by Fraureuth this tiger pair is a massive piece measuring 8 x 10 x 16 and with very heavy at approx. 12 pounds. While large cats are the subject of many pieces in the market, I have never quite seen a pair crafted this well and the piece is really quite exceptional. 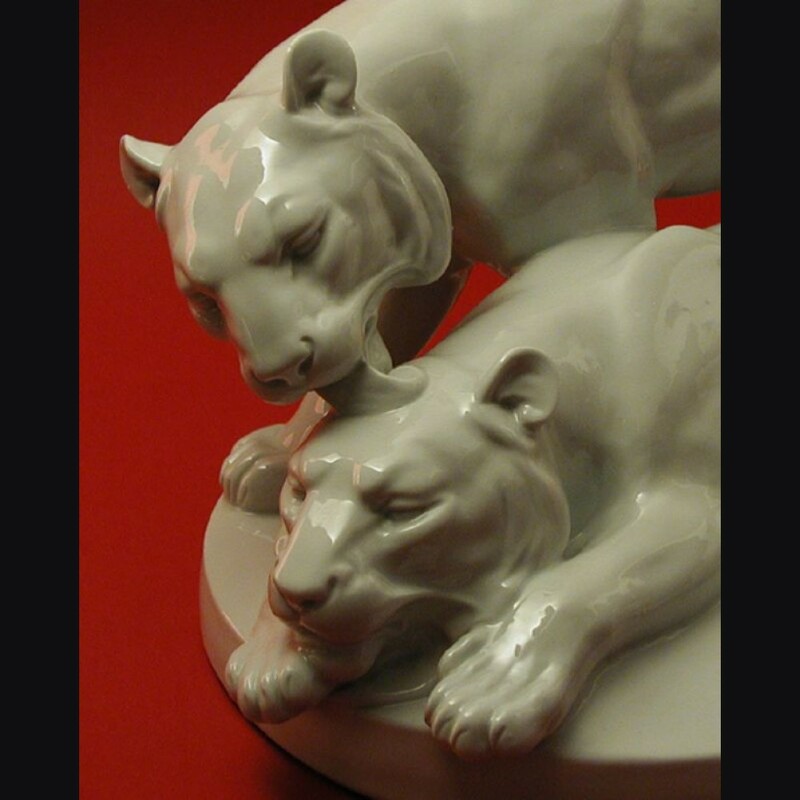 Sculpted by Gayer the piece captures these two cats in such a powerful way that I cannot remember anything that could rival it by any manufacturer. A really striking piece and the first I have seen like it, cant help but wonder what this would look like in bisque form as its just that powerful.